When given the opportunity to ride on a boat - I'm all over it. Who wouldn't be right? 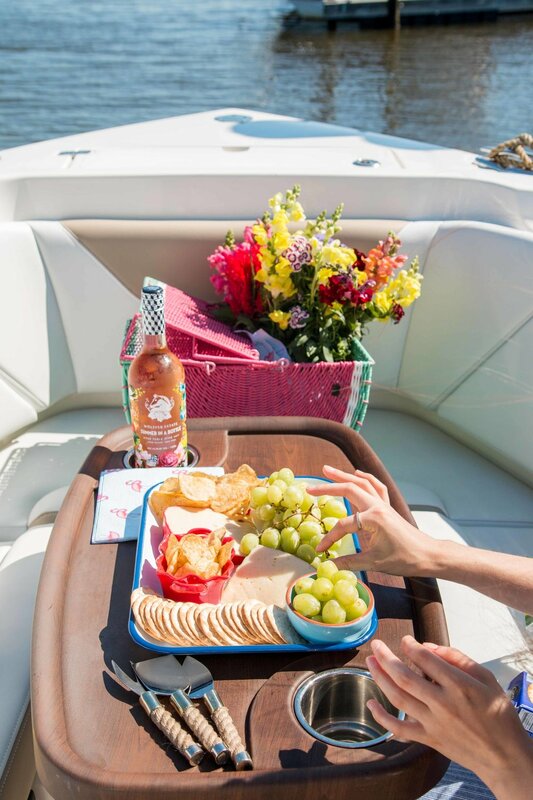 Wind in your hair, a little bubbly to ride the waves with and how about a snack? Yes please. I spend most of my summer out east. Luke goes to the day camp down the road while Gavin is at the sleepover camp that I grew up at in Canada. So aside from some back and forth to Canada, I am working and enjoying life from the Hamptons for all of July and August. My friend Laura (and ex-boss from my days at J.Crew!) 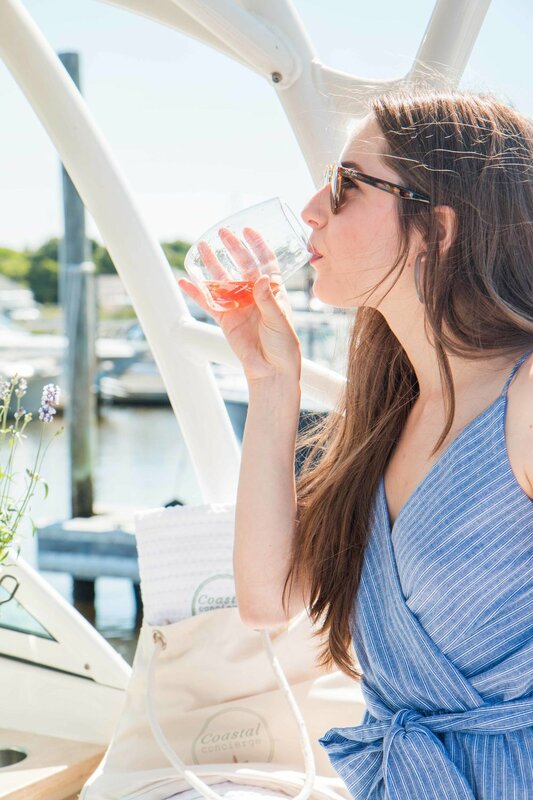 recently started a concierge business out in the Hamptons called Coastal Concierge. She will basically take care of all of your household needs, make reservations and plan fun activities for you and/or your family. Of course when she started the business I had a million different ideas for her (and myself!). One ideas was a family boat ride. We had rented a boat once and it was a blast but it was a bit of a challenge because they just handed us the keys and we had to navigate through the ocean on our own. Naturally Adam did great and we had a blast. But for the next time around...we were hoping to make it more of a DAY OFF and have someone to help us drive the boat. So last summer I asked Laura if she could arrange a boat ride for my family. She hooked me up with a boat and Captain. He took us on a beautiful drive and to my favorite little town, Greenport, to enjoy lunch. We asked if we could go tubing and Laura also arranged that. The kids had the time of their lives. 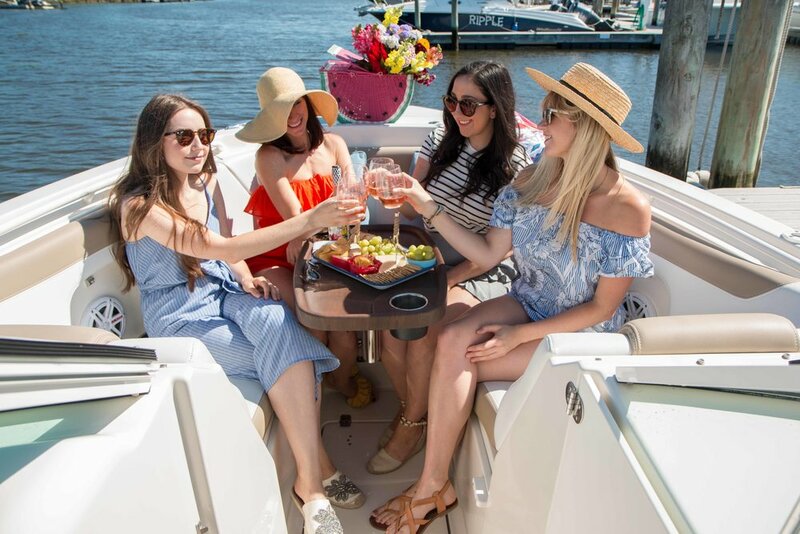 This year, we took this boat ride to another level with a ladies lunch. Laura arranged a boat full of beauty. Flowers, champagne, lunch and snacks. It was pure perfection. 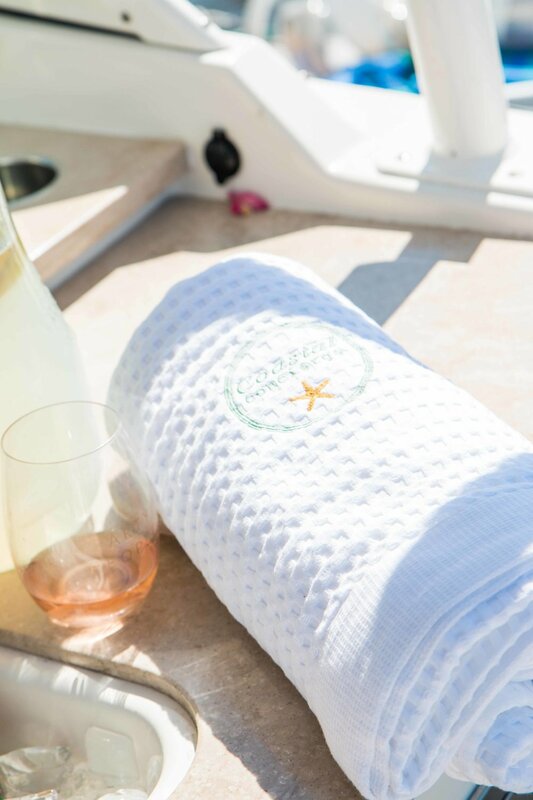 Take it from us, get in touch with Coastal Concierge and you'll enjoy a life full of ease and happiness.